4 trains every hour from Leiden to Haarlem. From Haarlem Station to the Nieuwe Kerk is a 15 minutes walk. 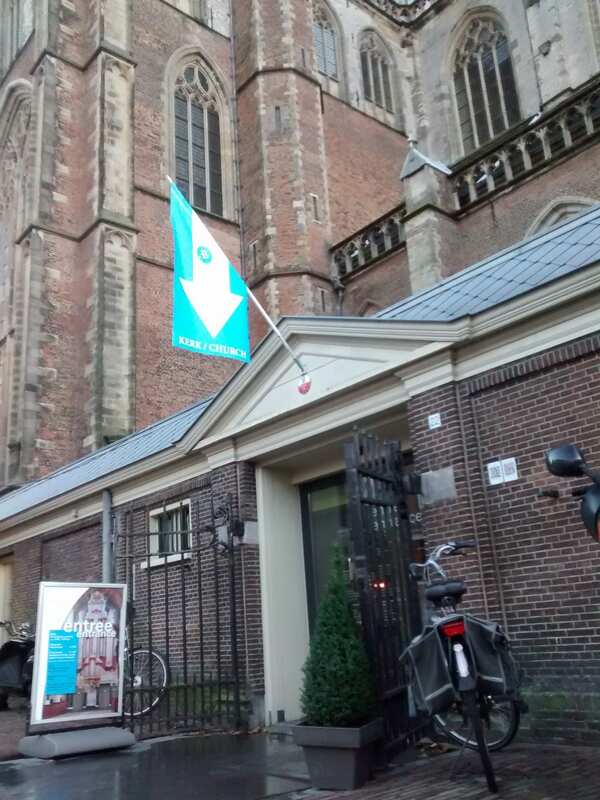 Grote Kerk: Leave the Station at the South Side (Stationsplein) and walk through the Kruisstraat or the Jansstraat to the Grote Markt and the Grote Kerk. Nieuwe Kerk: Continue your walk from the Grote Markt through the Grote Houtstraat and turn right into the Kerkstraat (just before crossing the Canal). Access Haarlem through A9 and A200 (exit Haarlem). At the (monumental) Amsterdam Gate turn right; then immediately before the ‘Dome turn left. Cross the river Spaarne, turn left following the Spaarne and after 50 meters turn right to enter the Appelaar parking. You have reached the Grote Kerk. Access Haarlem through A9 and A205 (exit Haarlem-Zuid). At the end of the A205 turn right just before the Spaarne bridge. Follow the river Spaarne for 500 meters en turn left to cross the next bridge (the ‘Paint Roller’). Find a parking place along the canal or turn right at the end of the canal and use the Raaks parking.